8 Black Harmonic Balancer Cover for Chevy small-block enginesThese patented harmonic balancer covers offer improved readability, more stable Top Dead Center indication and timing accuracy, enhanced appearance for a previously ignored underhood area, and the elimination of timing tapes which are inevitably flung off. 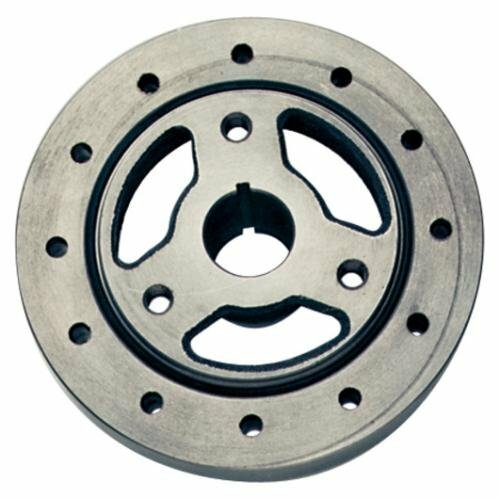 They are available in chrome and black, resulting in parts with the appearance of $200 balancers.Each cover is distinctively marked with the famous Bowtie Emblem, Top Dead Center and the proper timing degrees. Using this cover improves timing accuracy because over time the etched outer inertia ring of a typical harmonic balancer may slip in relation to the center hub of the balancer, causing the etched markings to provide an inaccurate indication of Top Dead Center for the #1 piston. 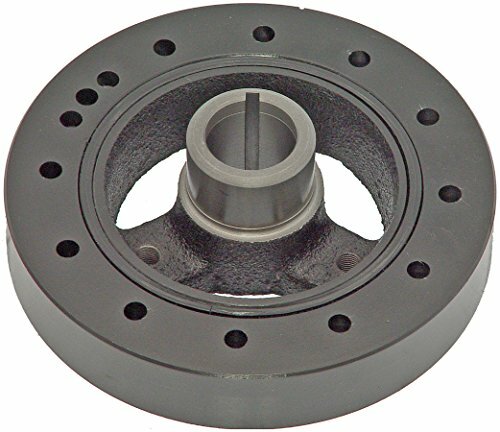 Mounted directly through the center hub, this cover eliminates the affect of any outer inertia ring slippage. Aluminum. U.S. Patent 5,675,078. 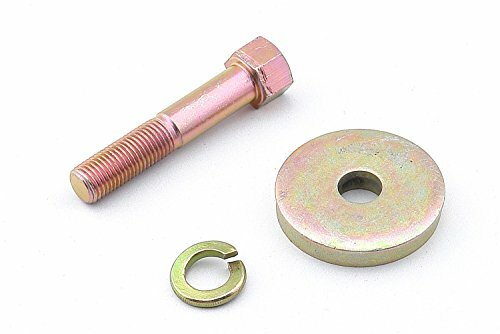 Mr. Gasket Harmonic Balancer Bolt is made from grade 8 alloy material. 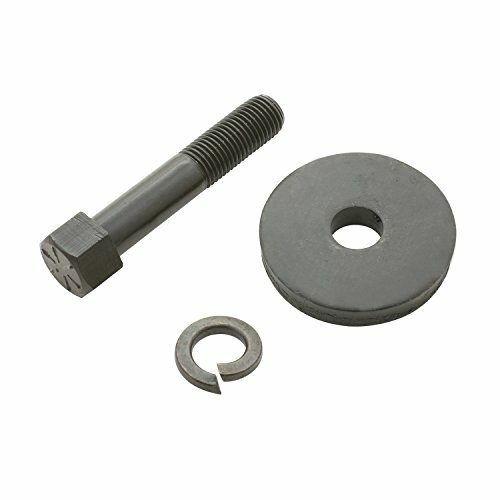 This bolt is efficiently heat-treated to provide superior strength. It features a high hex head to prevent slippage that occurs while rotating the engine when degreeing a cam or while adjusting the valves. 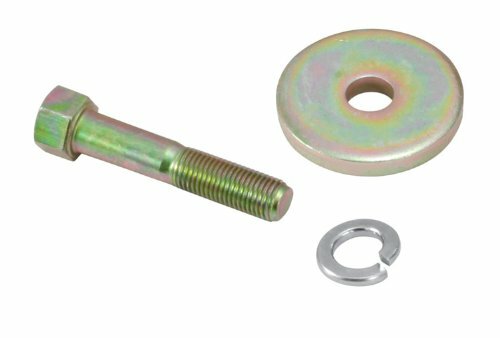 An extra thick, parallel ground washer is provided with the bolts to facilitate a more accurate, uniform torque. It comes complete with split lock washer to prevent loosening caused by vibration. Professional Products Power Force harmonic dampers are not only affordable, but they are also extremely durable. 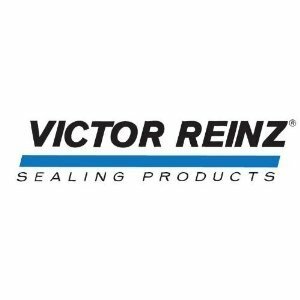 These dampers feature a bonding process which adheres the elastomer to the inner diameter of the inertia ring and the outer diameter of the hub, utilizing a strong adhesive along with an improved elastomer to create a much stronger bond. These high-quality Power Force dampers also feature clear, white, easy-to-read timing marks against a painted black background. In addition, Professional Products engraves a mark every 90 degrees, which is also painted white (90 degrees marks are not on small block Ford dampers). These dampers are accurately balanced and closely machined for the correct fit. 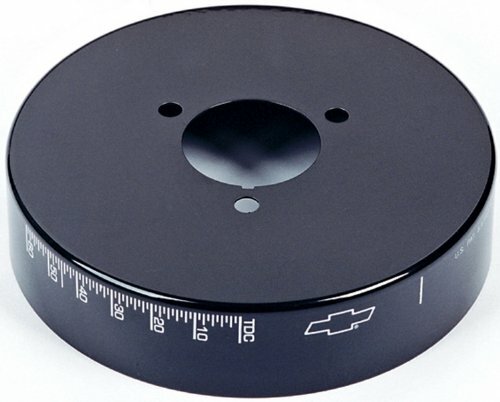 6-3/4 Black Harmonic Balancer Cover for Chevy small-block enginesThese patented harmonic balancer covers offer improved readability, more stable Top Dead Center indication and timing accuracy, enhanced appearance for a previously ignored underhood area, and the elimination of timing tapes which are inevitably flung off. They are available in chrome and black, resulting in parts with the appearance of $200 balancers. 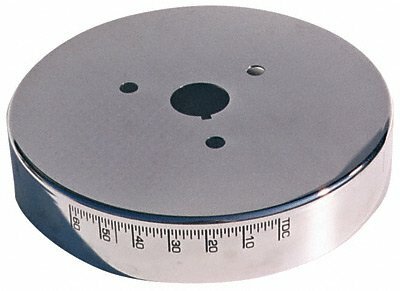 Each cover is distinctively marked with the famous Bowtie Emblem, Top Dead Center and the proper timing degrees.Using this cover improves timing accuracy because over time the etched outer inertia ring of a typical harmonic balancer may slip in relation to the center hub of the balancer, causing the etched markings to provide an inaccurate indication of Top Dead Center for the #1 piston.Mounted directly through the center hub, this cover eliminates the affect of any outer inertia ring slippage. Aluminum. U.S. Patent 5,675,078. Robert Dana teaches you how to install a Harmonic Balancer. 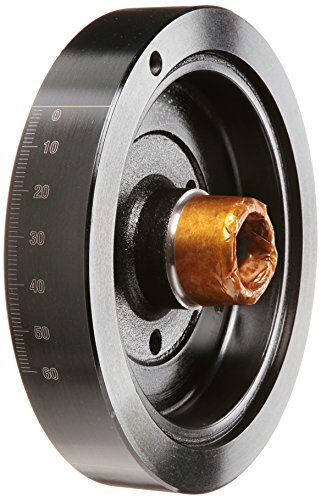 Compare prices on 69 Chevrolet Chevelle Harmonic Balancer at ShopPlanetUp.com – use promo codes and coupons for best offers and deals. We work hard to get you amazing deals and collect all available offers online and represent it in one place for the customers. Now our visitors can leverage benefits of big brands and heavy discounts available for that day and for famous brands.